Here is a simple idea I adapted slightly from Martha Stewart. Homemade snow domes. This project is whimsical and actually pretty relaxing to just sit back and take in when you are done. Did you ever look inside a snow globe as a kid and wish you were small enough to fit inside that cool, tiny world? Your kids might when they see the finished project. Btw, that tree is supposed to be a little tipsy because it’s a Whoville tree; we love the Grinch around here. That might even be Cindy Lou making the snowman. Carefully wind string lights near the lip of the jar and use tape to secure. Set lights to a timer position so that you don’t have to fiddle with turning them on and off every day. 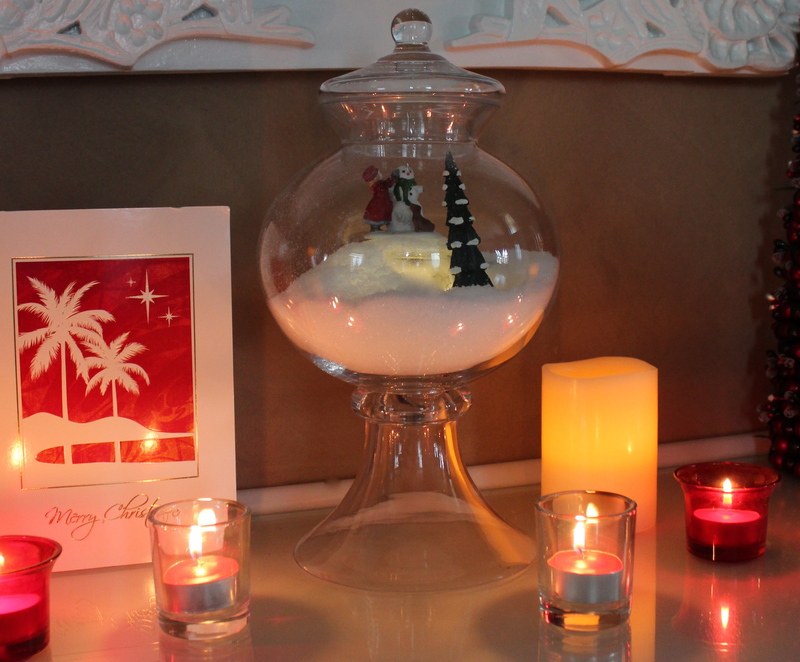 Place decorative items in jar and top with snow. Sit back and enjoy your illuminated wonderland. Like this whimsical idea. Magical.